The Vice President of the Christian Association of Nigeria (CAN), Prof. Joseph Otubu on Sunday challenged his superior, Rev. Dr. Sampson Ayokunle to give account of the body's funds allegedly missing in his custody to save the church from ridicule. Specifically, Mr. Otubo, a Professor of Obstetrics and Gynaecology demanded that the CAN President should account for the N4 million given by governor Samuel Ortom of Benue State, during a courtesy call on him which he (Otubu) rejected. Otubu in a letter to Ayokunle dated December 12 2018, entitled: “Corruption in CAN - A Final Advice”, obtained by Religious Affairs Journalists in Abuja threatened to “allow the law to take its full course”, if the CAN President refuses to take immediate and necessary steps to account for and refund to CAN all the funds, including the Cotonou car purchase scandal without receipt. Part of the letter reads: “Permit me also to remind you that I was present when the Benue State Governor gave money reported to be N4,000,000.00 (four million naira only) to CAN during our courtesy call on him. 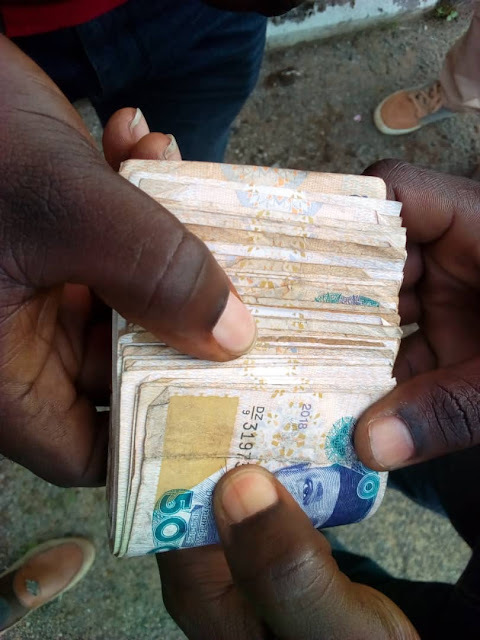 You handed the money over to a non-official of CAN and later declared that it was N1,000,000.00 (one million naira only) out of which you apportioned N200,000.00 (two hundred thousand naira only) as my own share which I promptly and flatly rejected, insisting that the money belongs to CAN and should be paid into CAN account. The money is yet to be paid into CAN account. “May I remind you further that the N25,000,000.00 (twenty-five million naira only) which you received from His Excellency President Muhammadu Buhari on behalf of CAN, out of which Mr. Daramola admitted that he received N500,000.00 (five hundred thousand naira only) and others including your good self, received various sums of money is yet to be accounted for by you. It does appear, Mr. President that you have forgotten that Article 5(i) & (iv) of the CAN Constitution provide that the CAN Treasurer shall be the KEEPER of the Association’s funds and that he shall receive and pay into the bank within 48 hours of working days all monies received by the Association.